Installation | Thomas Sign & Awning Co, Inc. The installation of your signs means your project is almost complete and your business is ready to shine. We know what happens during the installation process will leave a lasting impression, and that’s why we take the installation process very seriously. It is our goal for every customer to have a positive experience working with us. Starting with the initial contact through the final sign-off every project is important to us. 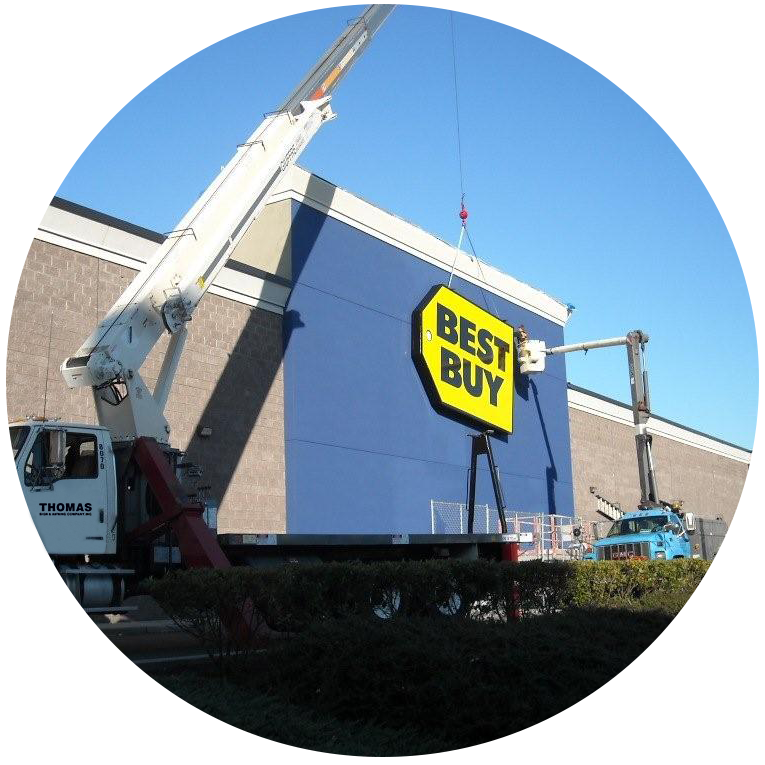 Whether your sign is installed by our direct employees or our network of professional installers, the process is seamless. Our project managers manage every sign installation using our project system for milestone tracking, with daily communication with the sign installers. Your sign program can be a POSITIVE experience with the Thomas Team.